Note: The new mobile app does not support iPad use. For information on using Zendesk Support with your iPad, see the article Zendesk for iPad is Moving. 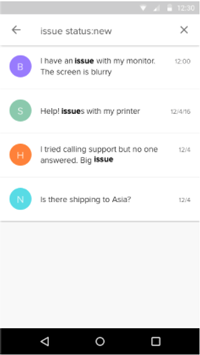 If you had the previous version of the Zendesk Support mobile app for Android installed on your mobile device, no action is required on your part. It is automatically updated when you log in to the app. iPhone users must install the new Zendesk for iPhone app from the Zendesk mobile app store. The old Zendesk for iOS app is no longer supported. iOS users: Download from the Zendesk mobile app store. Android users: Download from the Google Play Store (not currently available via Amazon). Note: If you're using an iPad, you'll need to download a separate application to run the Zendesk mobile app on your device. Download the Zendesk for iPad application. For more information, see Zendesk for iPad is moving. Once the new app is installed on your mobile device, you can launch it by tapping the Zendesk mobile icon on your homescreen. The Tickets screen, where you can choose your ticket view and access tickets. 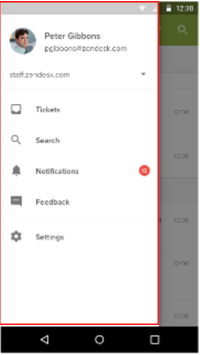 The Notifications screen, where you can view ticket notifications received in the last 30 days. 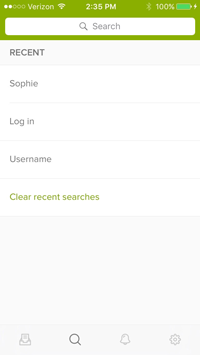 The Search screen, where you can search for keywords in tickets. The Settings screen, where you can configure your notification settings. For information on using this screen, see Working with views. For information on working with individual tickets, see Working with tickets. Tap the Notifications icon in the toolbar or left navigation menu to open this screen. 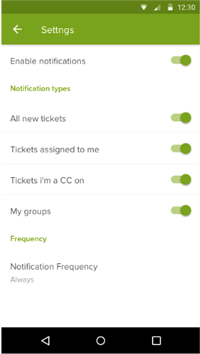 You can determine what kind of ticket updates trigger a notification, and how often you receive those notifications. 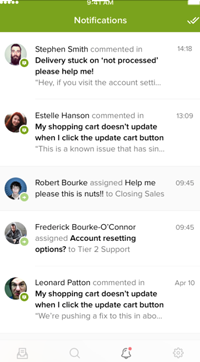 For information, see Using notifications in the Zendesk Support mobile app. Tap the Search icon in the toolbar or left navigation menu to open this screen. For information on using this screen, see Searching tickets. Tap the Settings icon in the toolbar or left navigation menu to open this screen. 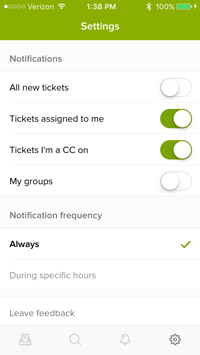 For information on how to use these settings, see Using notifications in the Zendesk Support mobile app. We rely on customer input to refine and improve our products, so please let Zendesk developers know if there's some aspect of the app that you like, you hate, or that just doesn't work. iOS users: Tap the Settings icon ( ), then tap Leave feedback to open the Feedback screen. Android users: Open the left navigation menu, then tap the Feedback icon ( ) to open the Feedback screen. 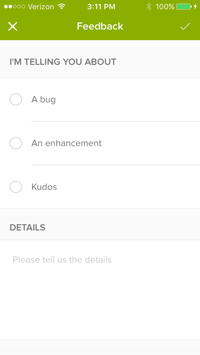 Use the radio buttons (iOS) or drop-down menu (Android) to indicate the type of feedback you're leaving - a bug, enhancement, or kudos. Tap Details (iOS) or Description (Android) to enter any relevant information. 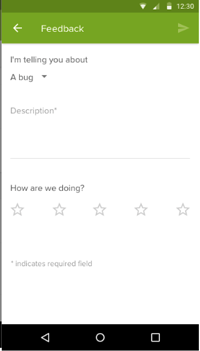 Tap the check mark (iOS) or paper airplane (Android) in the top-right corner to submit your feedback. Bookmarks are gone and SLAs are gone. How can I go back to before as I cannot use this new mobile app. It's worthless to me without those features. any plans to display the status and brand name of tickets without having to drill in to a ticket? This was available in the old app that helped me identify what status are their tickets and the brand as well. looking forward to hearing from you - as i have the same feeling as Joshua here - the new app is useless to me without being able to identify these on a highlevel. It is full of bugs we lost a lot of features ! we can´t even see the email of the requester , so we can´t find the client in our system . it is really bad ! you all need to update it fast , or it will be worthless to all custumer . funny the only client support I got from zendesk was in its twitter account , a company that has a email support service , that only attends clients on twitter ! 4 emails sended , 0 anwers . I think not even Zendesk belives in its email support service . Sorry, Zendesk, but locking out users from the old iOS app the moment your new app got to version 1.0 (unusable due to a display bug in my experience; lacking essential features in other people's) is a very poor move IMO. I understand good software needs to be 'opinionated', and that you can't please everyone all the time, but forcing clients to migrate to a bleeding edge app with a different feature set is too much. Why not a two-month period of continued access to the old app, but with a "this app will cease working on X date; you have until then to migrate to our new app (caution - functionality is not indentical!) or make alternative arrangements" nag message? we usually really love the iphone app. BUT !! 1. Placeholder in the macros are not working ..
2. where can you delete tickets or mark them as spam ? the email address of the clients are gone, and so we can not add or change anything. Apologies for the changes to the app causing you all issues with your mobile workflows. Our intention was to provide an updated, modern app that we could build upon as we go, not to limit your ability to handle tickets on the go. We are looking at additional fields in the ticket list. In the meanwhile, you can sort by ticket status or if you have a 3D touch enabled phone you can peak into the ticket and see the status. A user profile including email address is in development now and we hope to have something soon. Placeholders work upon submission, but we don't show the value in the ticket prior to submitting. Delete and mark as spam is also in development to be re-added to the apps. I used to be able to use the Android app to search articles in our help center. This no longer works in the new app. When you perform a search, the app reports the correct count of returned records (including tickets and help center articles) but the only records shown are tickets. Ideally I would like to be able to perform two different searches, one for tickets and the other for help center articles. I no most people don't like change but the new zendesk app is bad. Being in IT we like change. Lots of people on your website are thinking the same. Please please allow us to keep the old app even if you have stopped developing it. Which one is the latest? (left/right). I used the left one, got a message I have to update, replaced it with the right one, but see that the left one (now) has a newer version number (3.9.8). Please use the one on the right. The old one only has a larger version number because of changes that went out related to the iPhone (it is a universal app). Zendesk for iPad is the app we will support going forward. Once we complete the 90 day deprecation for the old Zendesk app on May 22nd, we will remove it from the app store. Thanks! OK, clear! And for iPhone the other way around I read above? iPhone you should use Zendesk Support for iPhone. The 'Zendesk' app is going away for both. Thanks! 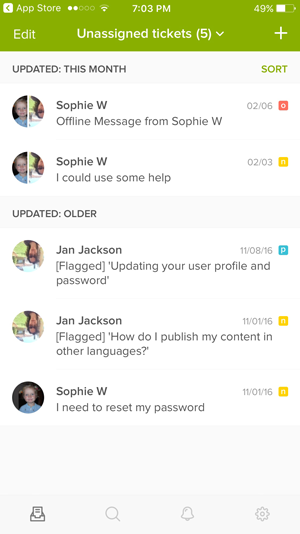 The initial launch and lock out of the Support app failed and access to the legacy Zendesk app had to be restored. With the lack of implementation of bulk editing of ticket's properties, applying macros or leaving comments on mobile app (and no plans to implement it as a feature) my team will not be able to keep up with ticket flow using the Zendesk mobile platform. Great customer support is tied to the customer—not a desk. Zendesk’s native mobile apps are built for team leaders, agents, and those rolling stones who don’t take “help desk” literally. This site directs to the old app and the statement does not seem to be reflected in the "new" apps feature set. Please Zendesk, come to grips with customer needs and stop forcing the Support app when features we need to get the job done are not available. Hi Ariel. I just posted a response to your message in this thread. Just letting you know here as well. Hi Robert, unfortunately we no longer support a Windows Phone app. Our officially supported apps are iOS and Android. You can also access your Zendesk instance through a mobile browser or via the web. Is integration with time tracking built into the mobile app? I have people on the mobile app and tracked time is not showing up. Hey Mike! Welcome to the Community! Any news on the ipad app? that link at the very top doesnt work. Is it to be updated ? Can you @ mention people in tickets on the mobile app? No, @mentions do not work on the mobile app. We do have some good news regarding this Alex - @mentions functionality will be coming to the mobile apps at the end of September 2018. How can I use the mobile app for 2 different accounts? Can I clarify whether you mean accessing 2 unique zendesk subdomains within the same app? We don't currently support that, but we are working on a feature that will allow you to switch between multiple zendesk accounts within the same app. This is in development now and planned for release in early 2019. Are end-users able to use the mobile app as well? Or is it just agents? You are correct. I meant accessing 2 unique zendesk subdomains within the same app or the ability to add a second instance of the app to also test my sandbox. Do you guys have a workaround other than uninstalling and reinstalling the app? Hi Fernando - unfortunately not. You shouldn't need to uninstall, but simply logout if you want to switch account. We will be delivering the Account Switching feature in early 2019. How does the Chat mobile app work? Why can't I sign in to my Zendesk Support Mobile app (iOS or Android)?